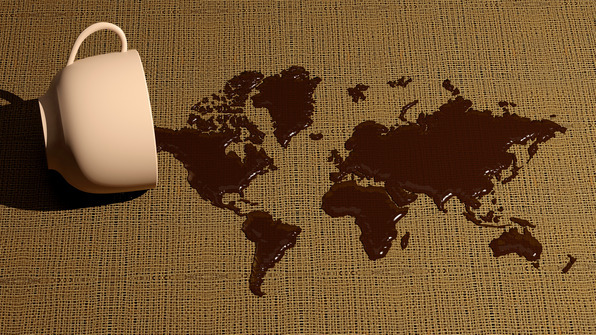 Coffee is grown in more than 50 countries across the world, which is beyond exciting, if you ask us. What this means is that you’ll get a different taste based on climate, soil, altitude, and a number of other factors. We find it fascinating how different regions produce varying coffee beans, and, as a result, stock coffee from regions throughout the world. 1st in Coffee wants to share with you some of the differences between the different regions when it comes to coffee. Kona coffee is the most popular name when it comes to coffee from Hawaii. This in-demand bean grows on the slopes of the active volcano, Mauna Loa. The Kona coffee beans that grow along this volcanic slope are shaded by the natural canopy created by the trees and tropical clouds. With the steady rain this region gets, the plants get a regular amount of rain. Kona coffee beans are known for their medium body and aromatic, rich taste. With over 100,000 coffee farmers, Mexico produces a lot of coffee. Its most popular coffee-producing regions are the southern states of Veracruz, Chiapas, and Oaxaca. Beans produced in these regions are great for blends and dark roasts. They have a reputation for a deep, aromatic flavor with a sharp taste. Coffee was first brought to this island from Martinique in the 18th century, when it eventually became the 6th leading exporter of coffee. The coffee industry of Puerto Rico is currently being revived because of difficulties from hurricanes and competition from other countries. Puerto Rico is known for using Arabic varieties and is grown in the regions of Grand Laureas (south central region)) and Yauco Slecto (southwest region). The Arabica beans grown in Puerto Rico are known for their fruity aroma and balanced body. Beans grown in Guatemala have a distinctive taste. It’s not a region that’s as well known as the others, but it has beans with a reputation for having a rich flavor. Major regions for coffee trees include Antigua, Coban, and Huehuetanango. The volcanic soil and rough landscape make a bean that is medium to full-bodied with a chocolatey taste. Costa Rica is known for its Arabica beans that are wet-processed. Its beans have a medium body with sharp acidity. They are grown on small farms called fincas and taken to highly-structured processing facilities called beneficos. Costa Rica has a reputation for producing high quality coffee. Colombia is well-known as a leader in coffee production and is second only to Brazil for annual production. Colombia has a reputation for producing high-quality beans through the use of its careful methods for growing. Many of the country’s coffee trees are grown on small family farms. The rugged landscape causes many of the beans to be transported via mule or Jeep. The highest grade coffee bean, called Supremo, is known for its delicacy and aromatic sweetness. Brazil is the #1 producer of coffee in the world. Brazil grows the Arabica and Robusta beans, and the quality of the soil, altitude, and climate will determine which bean grows best in which region of the country. A perfect cup of Brazilian coffee is clear and sweet, with low acidity and medium body. We offer a great selection of coffee makers and grinders for the perfect cup of Brazilian coffee. For the most part, coffee beans in Ethiopia are wet-processed. The main growing regions include Sidamo, Harra, and Kafa. Ethiopian coffee beans are known for their full bodied, earthy notes. Kenyan coffee is popular in the U.S. and Europe. It is known for its acidity, which is sharp and fruity. It is aromatic and full-bodied. Coffee beans are grown on the slopes of Mount Kenya by small farmers. The Ivory Coast is the largest producer of Robusta coffee, which is best suited for blends and dark roast, and particularly espresso. The beans are known for their light body and light acidity. Coffee beans in Yemen are grown on family farms. The beans tend to be smaller, and have an irregular shape and size because of the lack of water. The beans have a distinctive and rich taste. Some of Indonesia’s larger islands, such as Sumatra, Java, and Sulawesi, cultivate high-quality coffee. The farms are small, at 1 to 2 acres. Coffee grown in Indonesia is dry processed and has a rich, full body with mild acidity. It also has a reputation for high-quality aged coffees, as well, when farmers hold the coffee for a long time period before selling at a higher price. Vietnam cultivates mainly Robusta coffee beans in the southern region of the country. The beans are known for their mild body, light acidity, and good balance. Vietnamese Robusta beans are great for blending. This is only a short list, and we’ll include a link here on more details about the various regions mentioned. We encourage you to explore the many different coffee beans and learn which coffee bean suits you best. Could it be the Arabica bean? Or the Kona bean of Hawaii? The world is waiting.